I have always known that ragi is healthy, but never really tried to include this important grain in my diet very much. The only times I remember having ragi is when I have had the aforementioned porridge/ kanji when I was younger and had my mother give this to me saying it is good for me:-) Now that I am trying so many different grains in my diet like oats and quinoa, I decided to try this grain too and see if I could form a grown up perspective on it. After keeping the flour in my pantry for a good two weeks I finally came up with the plan to try and make instant dosai/ crepe with this along with one of my favorite grains, oats.So I proceeded with making up the recipe as I went and cautiously added the ragi flour constantly worried that this one was going to flop and mentally reviewing my other options if this did fail.Luckily the dosai was a hit at home and the ragi flour did not lend a very overwhelming flavor here, making this an ideal way to sneak in this healthy grain for picky eaters. Mix together the dry flours in a large bowl.Add water slowly, about half cup at a time and keep mixing it to make batter. Heat oil in a pan add cumin seeds and green chillies to it. When the cumin seeds start spluttering add asafoetida to it and give it a quick mix and add this oil+cumin seeds+ chillies mixture to the batter. Add salt to taste and mix well. Add cut cilantro to the batter and mix well. Heat a griddle/ flat pan and pour a ladleful of the batter in the center and spread into a thin circle evenly. Sprinkle a few drops of oil around the batter. Let it cook for a few minutes on medium heat and when the lower side starts browning flip the dosai/ crepe and cook the other side. When the pinkish/ brownish spots appear on the other side remove from heat. 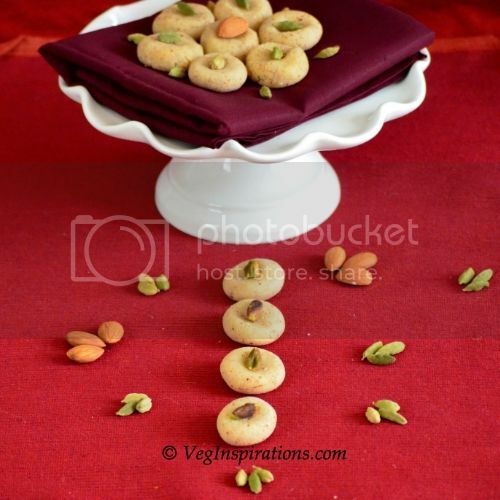 Serve hot with chutney of choice or molaga podi/ spice powder or even just plain ketchup. For the oat flour I processed quick 1 min oatmeal (Quaker brand) in the blender till it turned to fine powder but if you have store bought oat flour that should work too. dosa looks so crisp.. must have been yummy! 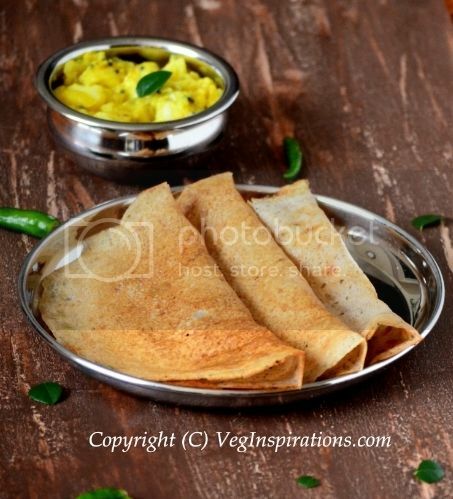 Thats a healthy Dosa Usha....i make it plain and sometimes add wheat flour...adding oat flour would make it even more nutritious right?...Nice one...will do it next time. Yumm. love this dosa. I make them mostly on weekend for breafasts..
We make only with ragi mixing wheat and oats sound great combination! I used to make oat dosa. 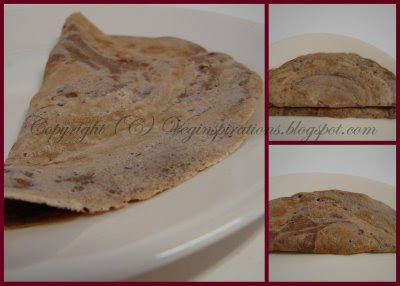 Ragi dosa is new,I will try. I love millet, I'll have to try this! Very healthy and yummy, I bet. As you can see, I am back. Thanks for all your well wishes. Love ya. This is very healthy one Usha!! 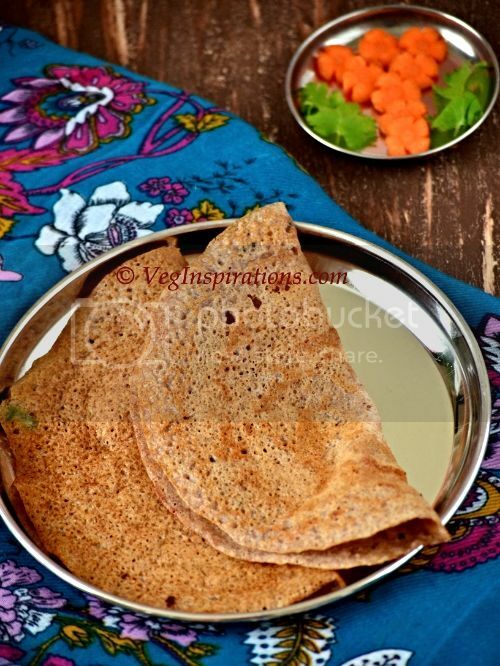 Last night only I tried dosa using wheat flour and Oats flour..But this looks fantabulous..Will be helpful during the dinner time..I take either wheat or Oats for dinner..You have given me a different recipie..Tx dear..
there you go with a healthy recipe again..looks delicious.. Healthy n delicious instant dosa, loved the fact that they r instant, great job Usha!! my grandmother used to try all these healthy foods with her own combinations. I always think all this can come out tasty only with grandma's. Looks great and nice to see it. 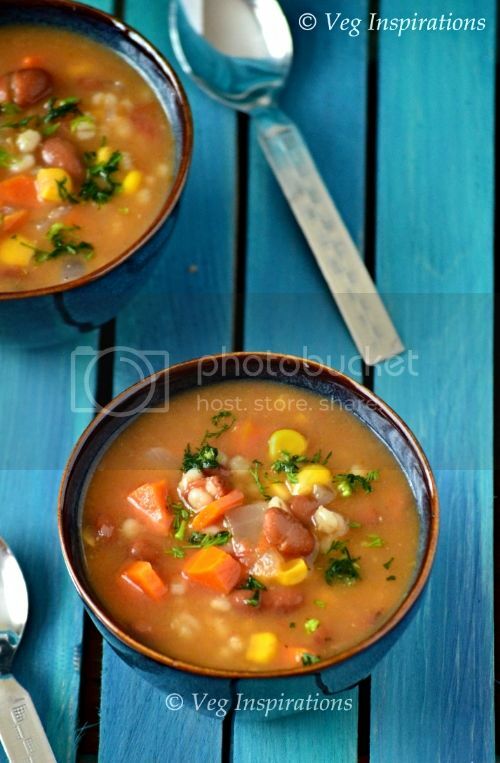 Hey, nice healthy BF yaar.. i make with ragi flour, next time will try this !! One more thing where do we get Flax cereals?? I remember ragi kali that my mom made when I was young.. has been ages. I normally just stir in the ragi flour to some dosa batter. 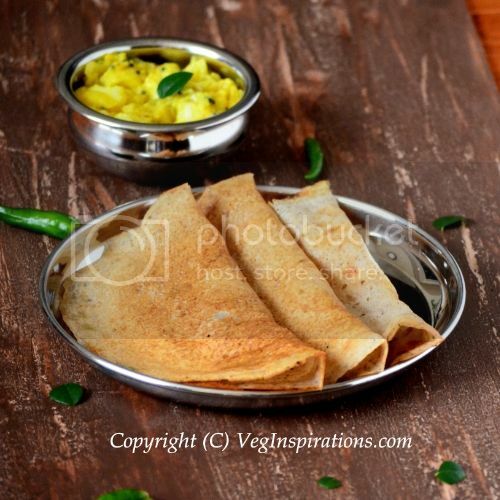 This instant dosas look great.. would be great with some red hot chilli pickle. 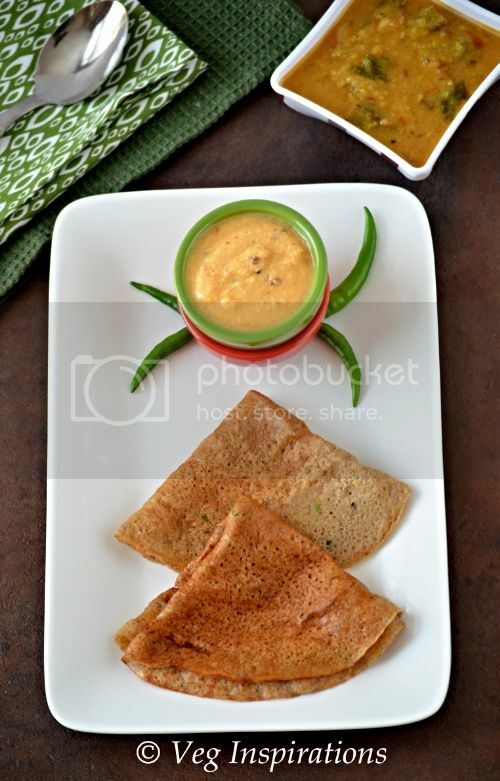 Another healthy dosa recipe from you Usha. We don't run out of stock with oats, have to get ragi flour. We are Oats family. Since we use a lot of ats, I generally buy the store brand itself because it's $1.50 less than Quaker. Thats a healthy meal usha... Delicious! i always learn so much from your recipes... i definitely enjoy learning more about different cuisines. My mom used to make this! Oh God, I'd completely forgotten! 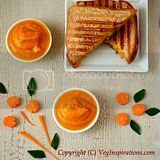 I have to admit, I am not very good at making crepes.. but I'd love to try this, I am always looking for bread to incorporate with curry, soups, stews... the recipe sounds very enticing and savory.. I make this very often. I add grated carrots and onions to the batter. 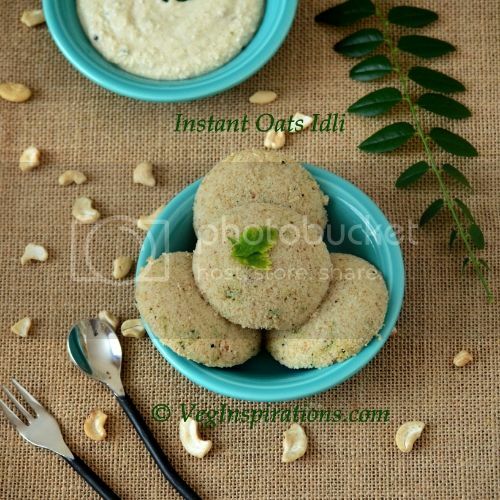 I had tried millet dosas from Uma's blog and they turned out great: yours look lovely too. I also love how healthy they are, Usha. 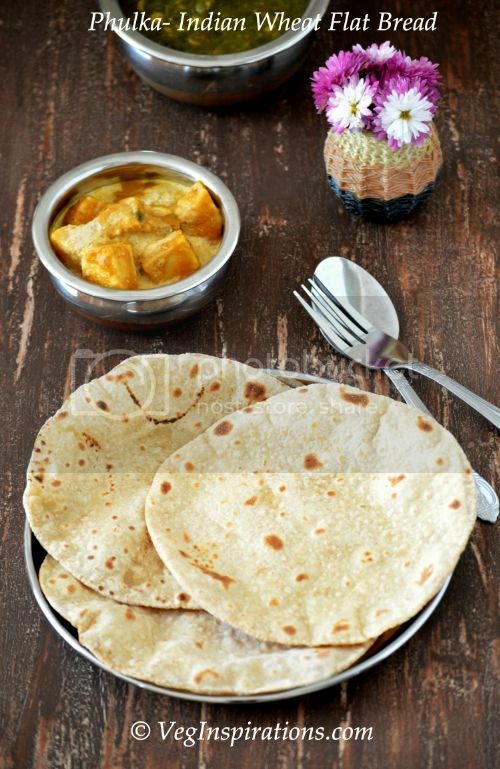 All of your dosai recipes look so good! I really will make one of your recipes sometime. I do like this one with oats. 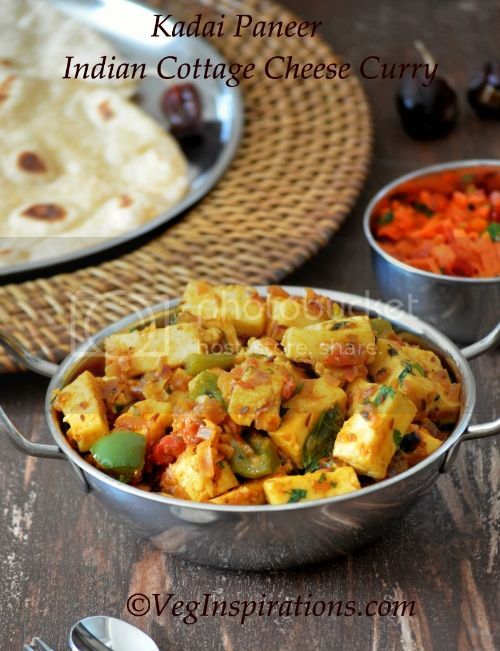 That's another interesting dosa recipe with so much healthy stuff going in it. Thanks Usha. Sounds healthy and easy too. Perfect for a health freak like me. The content of this site CANNOT be reproduced,redistributed,published or broadcast without the written consent from the Author and any attempt to do so would be considered COPYRIGHT INFRINGEMENT. This blog is dedicated to three wonderful women in my life who inspire me to give my best to creating the most tasty and healthy dishes. And my mother in law who with her wonderful smile,resourceful nature and patience continues to guide me,inspire me and makes my time spent with her in the kitchen and out of it, fun.